Here’s the space for chatting about another DA installment — surely another glorious one. And no spoilers on this particular thread until Monday. 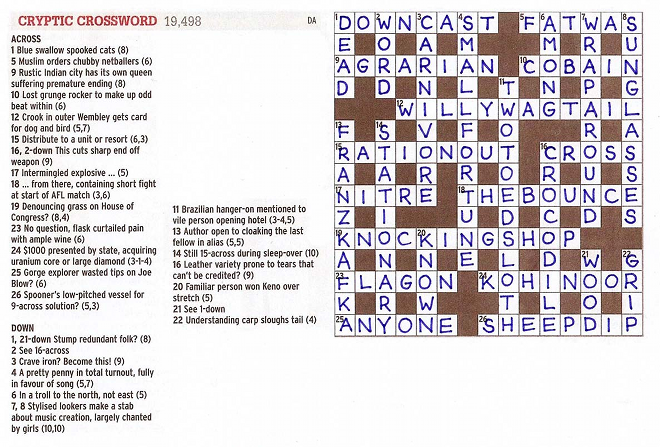 Fell KOH-I-NOOR and GRIP short in an otherwise very fun crossword. I liked this one today (special Saturday for me) especially 15A, 19A (gold – had me going for a long while wondering what the White House lawn was called), 29A, 26A and 11D. Good fun today :) Loved 19a. 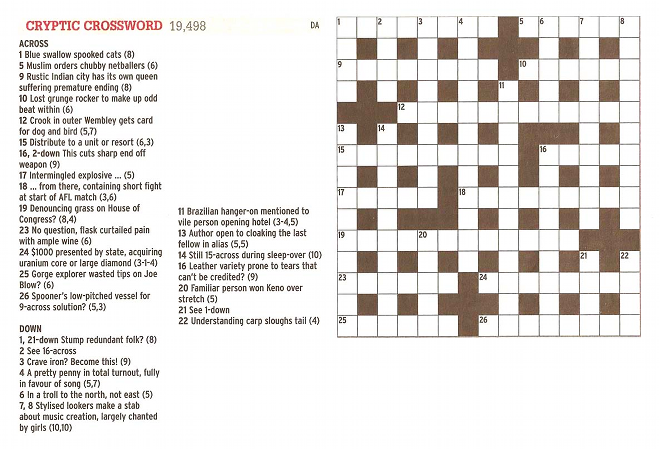 A good crossword today. 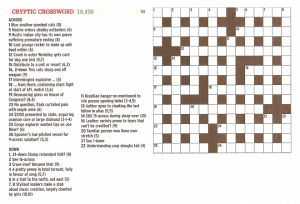 Picked away slowly but managed to complete it without Google or even a dictionary. Was I the only one trying to fit a term for stray pube into 11D? First in was 17 A and finished with 24A.